Depending on the faction we choose, we can either conquer other territories to increase our power or engage in raiding and looting camps of other factions, villages and enemy cities. To defeat our enemies, we will have to use all kinds of tactical options, take advantage of the terrain and manage temporary bases and settlements. 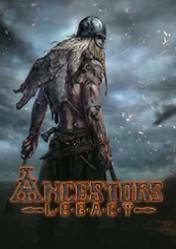 Like many other strategy games, Ancestors Legacy combines resource management and base building with massive squadron battles on fierce battlefields and in detail. In every combat, we can appreciate the brutality of the struggle between the different factions, and appreciate, for example, how our Vikings split their enemies in two with their axes or how we pierce our enemies with a spear, and in great detail that give incredible realism to the fights. This is a really cool game to play! It has good graphics and the quality is great! if you like vikings and taking over countries and other things, this is the game for you!